June 2, 2016 | ProgressTH We're often asked what practical purposes can 3D printing be used for. Many people first hearing about 3D printing may see people or makerspaces showcasing toys and trinkets, but rarely anything useful. The truth is, most of the things people print out that are useful aren't particularly exciting and furthermore, they are often busy being employed where they were needed rather than being shown off at an exhibition. When working on a project you often find yourself in need of making many modifications. It used to be that you'd use anything lying around, even if it was not really a good fit, but as long as it just barely fit. That is sometimes the fun of hacking, but it can also become a disadvantage. As you improvise solutions, compromises in a project start to add up to where you are struggling just to manage them all instead of focusing on the project itself. That's where 3D printing comes in. It allows you to create the part you need on the spot, precisely the way you need it. And if it doesn't work out perfectly, you can iterate the design until it does often times doing several iterations in a single day. At ProgressTH, we're developing a solar powered Arduino project we will eventually use to automate our smart garden/farm. 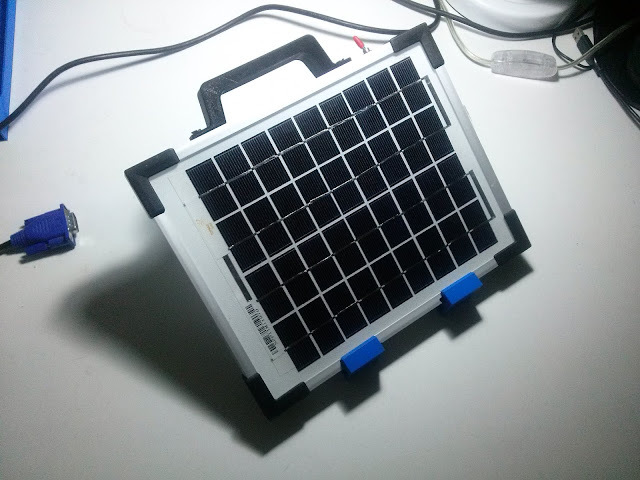 We acquired a solar charger kit from Sisaengtham School (Facebook here), a local school that makes and sells them as part of their alternative energy curriculum and to help raise funds. 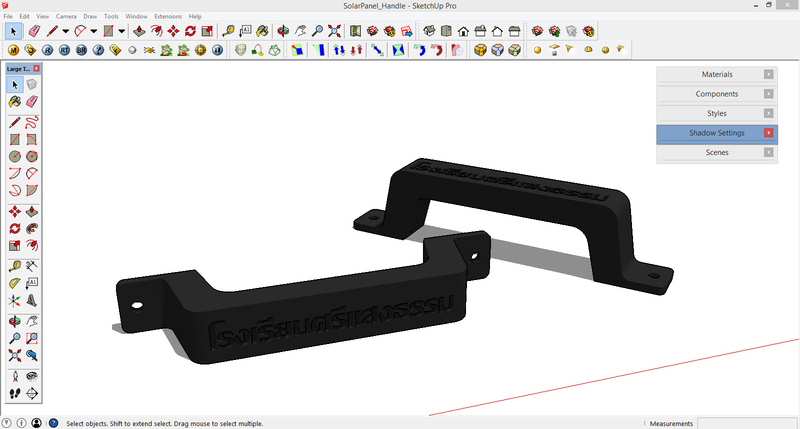 All of the 3D printing done at ProgressTH is done using parts designed and exported from SketchUp. To adapt it specifically to our needs, we wanted to give it a stand with a 26 degree angle. We also wanted to redo the handle and include the name of the school (in Thai). The modifications worked out so well, it's like we bought a purpose-built part for the project. 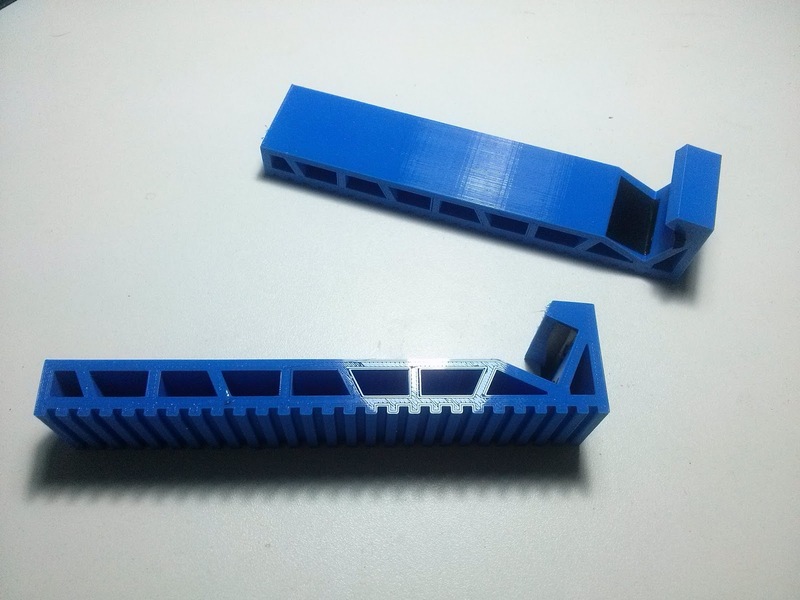 The reality is, we likely couldn't have bought the parts we wanted exactly was we wanted them and even if we could, they would not have arrived as fast as we could have printed them out ourselves. That's the power and practicality of 3D design and 3D printing. We were able to print out the stands within the same hour the idea occurred to us to make them. The first iteration was too short, so we ended up lengthening the stand by 60mm. We added electric tape to the inside of the groove the solar panel fits into to give it extra grip and prevent slipping. Now we can test the charger outside with an ESP8266 network clock project we've been working on for a different project. The power-hungry WiFi module and LCD screen pushed the solar panel and the 12V battery to the limit helping us understand the importance of power management and allowing us to focus on energy saving while working with the small, portable charger. One thing we didn't have to worry about when doing our experiment was the stability of our platform. That was already taken care of with our printed stands. But the handle and the stand are basically just customized hardware, hardly exciting (unless you love 3D printing as much as we do), and not something that would immediately catch your eye at a maker exhibition. However ordinary these practical examples of 3D printing may appear, it must be remembered that customized, precise manufacturing on your desktop was not even a possibility for most a few years ago, and now, it is becoming so commonplace many are taking it for granted. As advances in 3D printing allow for more materials to be used in a wider variety of computer controlled processes, the ability to create precise parts on demand for a wider range of applications is inevitable. It's time to start thinking not only about what you would print if you could make anything, anytime you wanted, but probably about how to acquire the skills needed to design and print them as well.